Where The Local Things Are is a space that I will share my favourite food travel experiences, and provide recipes for dishes that have inspired me during my travels. I will also share my experiences with eating dairy, sugar, grain and gluten free, with blog updates and some of my favourite recipes. I am originally from Wellington, New Zealand, but I currently reside in Brighton, UK. I have worked for over 12 years in the hospitality industry, mainly in cafes, with experience in restaurants, bars and pubs as well. In 2006 I studied a Bachelor in Hospitality Management, but after 2 years, I decided to move to Melbourne to fuel my passion for food and travel! Following 3 & a 1/2 years living in Melbourne, I spent 5 months travelling around South East Asia before settling in the UK. I am currently working as a Malaysia and Indonesia Travel Specialist for an ethical, independent travel company – sharing my love for travel with people every day! My travel experience now includes NZ, Australia, Cook Islands, South East Asia, parts of Europe, and I am hoping for much more! 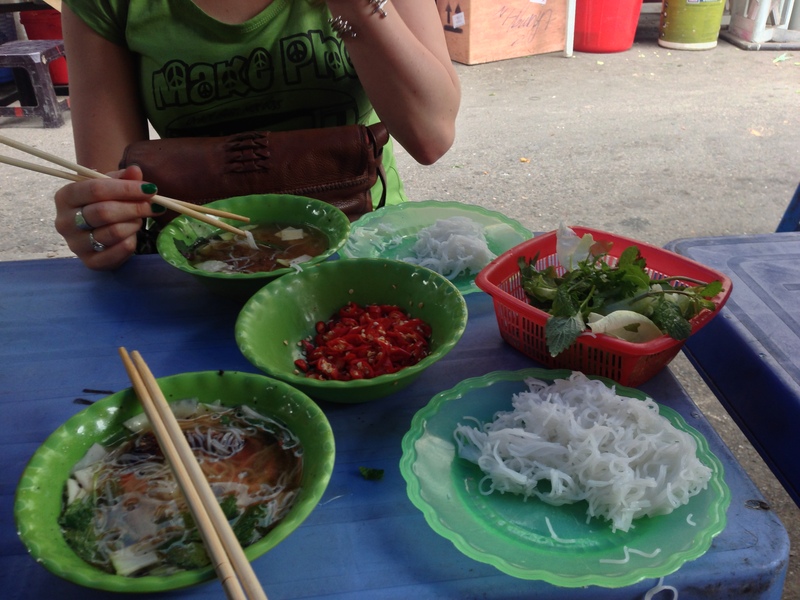 Firstly, I wanted to share with others exciting food discoveries in different places I travel around the world. I would like it easier for people to find where the locals eat, and to enjoy more authentic experiences, which, in turn, support locally owned businesses, and local communities. Since 2010 I have had many problems with anxiety, cuts in the corner of my mouth, low energy and inflammation in the gut. I had realised that certain foods, such as grains, dairy, and sugar triggered these reactions, so I generally avoid eating both food groups as much as possible. You will notice that the places I eat will be based around my diet, and so will the recipes I post. I hope that I can help inspire others who have to follow a similar diet to I! Please feel free to add any comments or questions you may have, as I would be more than happy to hear from you! Big thank you for following our blog! We love meeting fellow bloggers 🙂 Sounds like a great reason to start a blog…. look forward to your future stuff! !